While many people may associate thick, healing balms with winter skincare or exclusively for those with dry skin, this oily-skinned gal also adores natural balms for daytime use as well as during transition weather. 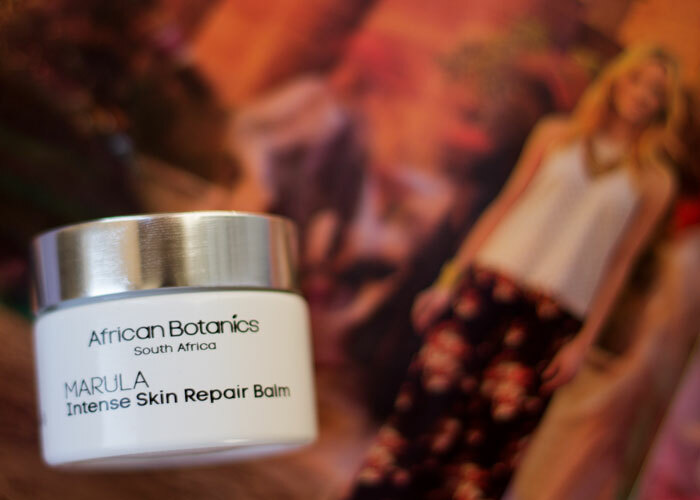 One sweet-smelling, spring-feeling balm I’ve recently tested is African Botanics’ Marula Intense Skin Repair Balm, a rich face and body balm loaded with beautiful botanicals wild-harvested in the the Cape Floral Kingdom in South Africa. Formulated for both face and body, African Botanics’ Marula Intense Skin Repair Balm brings together luscious shea butter with a host of healing oils — including marula, baobab and watermelon seed — and a collection of herbs and essential oils that gives this balm a very fruity scent. Cold-pressed marula oil — the star ingredient of the entire African Botanics line — contains a high concentration of our favorite powerhouse antioxidants, vitamins C and E, which help renew and restore skin’s appearance and health. Marula oil is also loaded with essential fatty acids that help protect against the elements. Alpine Rose Plant Stem Cells: Helps repair the skin and lessen the appearance of wrinkles. Snow Crocus Bulb and Burn Jelly Plant Extracts: Helps heal wounds. Cape Camomile Extract: Reduces inflammation, resulting in calmer skin. Bulbinella: Provides additional calming effects to sensitive skin. Butyrospermum Parkii (Shea) Butter, Acacia Decurrens/Jojoba/Sunflower Seed Wax/Polyglyceryl-3 Esters, Capric/Caprylic Triglyceride, Glyceryl Stearate, Isoamyl Laurate, Sclerocarya Birrea (Marula) Seed Oil**, Adansonia Digitata (Baobab) Seed Oil, Citrullus Lanatus (Watermelon) Seed Oil, Bulbine Frutescens (Burn Jelly Plant) Extract, Aloe Ferox (Aloe Leaf) Extract, Asparlathus Linearis (Green Rooibos) Extract, Rhododendron Ferrugineum Leaf Cell Culture Extract, Isomalt, Lecithin, Sodium Benzoate, Lactic Acid, Crocus Crysanthus (Snow Crocus) Bulb Extract, Acacia Senegal Gum, Eriocephalus punctulatus (Chamomile Cape) Essential Oil, Melissa Officinalis (Melissa) Essenial Oil, Citrus Aurantium (Neroli) Essential Oil, Cananga Odorata (Ylang-Ylang) Essential Oil, Helichrysum Splendidum (Helichrysum) Essential Oil, Calendula Officianalis (Calendula) Oil, Tocopherol Acetate, Sodium Phytate, Benzyl Cinnamate*, Benzyl Salicylate*, Cinnamyl Alcohol*, Citral*, Citronellol*, Coumarin*, Eugenol*, Farnesol*, Geraniol*, Isoeugenol*, Limonene*, Linalool*. 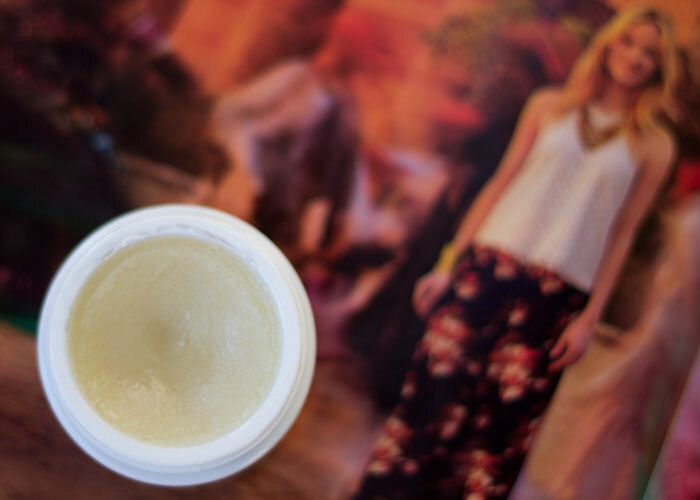 Though not the perfect match for my facial skin (the scent is a bit too strong to go on my face), African Botanics’ Marula Intense Skin Repair Balm is absolutely lovely as a nourishing body balm. I prefer to use it on my hands and forearms for deep hydration and protection from the drying wind and other environmental elements. In cold-weather months, the happy scent is uplifting, so it’s just about getting the right amount of product on my face so as not to overwhelm my nose. When I did use it on my face, it was exceptional at keeping my cheeks dewy, plump and soft to the touch. I can be heavy-handed, so with a more conservative application, I can get away with using it on my face in small dabs. With that sort of application style, this jar could last for months! But, as I’m trying to be very diligent about using up the products in my beauty arsenal, it makes sense to keep African Botanics’ Marula Intense Skin Repair Balm on my bedside table as an evening hand and foot balm for ultra-luxurious moisturizing. However, I’m not blind to the fact that, for $55, that’s quite an expensive jar of goodness to be putting on your hands and feet! So, depending on your personal beauty philosophy, this balm should either be reserved for your face only at that price, or, because of how nourishing and healing it is, it should be used on those extra-rough spots that everyday lotion just can’t drench in enough moisture. For me personally, though, this isn’t a repurchase because I’m not in love with the scent for face, and I think I would be foolish to spend $55 for a hand and foot balm. But would I recommend you sample this if you can? Yes, especially if you’re looking for a very healing face balm that’s the complete opposite of the many herbal-scented ones on the green beauty market today. Scent. It’s just so damn personal! What’s your beauty philosophy when it comes to luxury multipurpose items that you may use more on your limbs vs. your face? What have you tried from African Botanics? 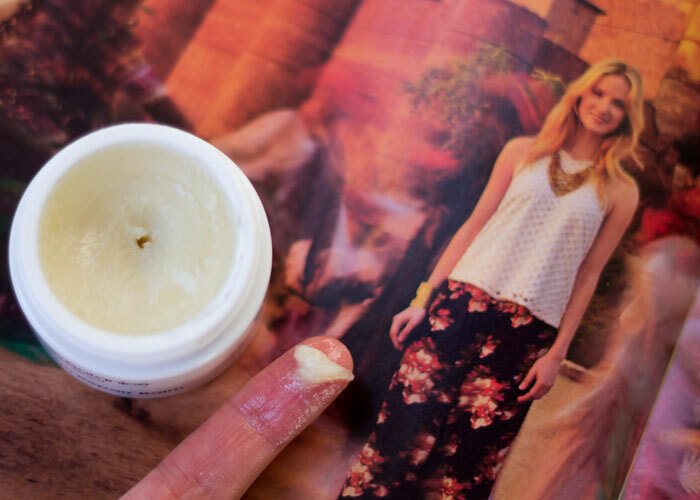 What face balms do you love? Tell me in the comments section!